16" x 23" x 3.5"
wood, inkjet prints, paint, lights, lcd screen, media player, speakers, transformer. 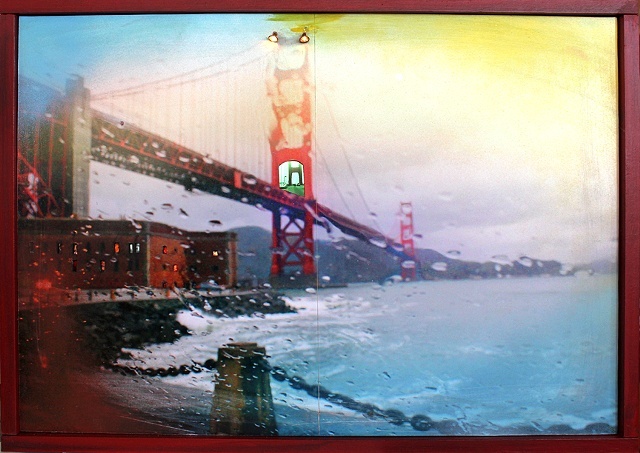 Bridge has an image of the Golden Gate Bridge taken in the rain, with a video of driving across the bridge. Warm San Franciscan Nights plays.